What’s old is new again… interesting. I wonder if this is a response to demand (I’m seeing more utility cyclists all the time) or is it just the marketing life cycle at work? 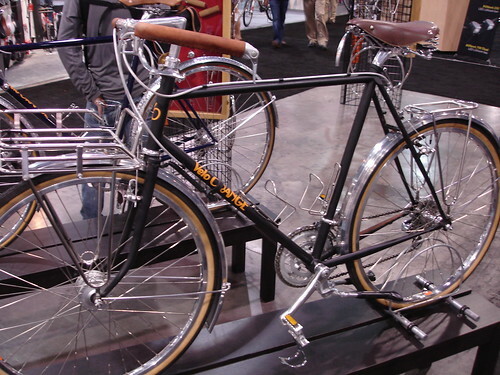 Either way, I’m a rack and fenders fan, so it’s cool with me. Bike #1, the Salsa, appeals to me most. 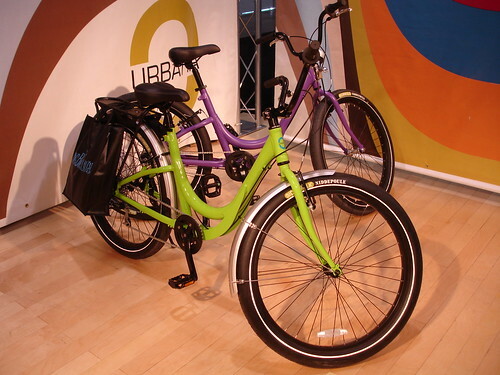 I like the Salsa bike. But they’ve always been one of the companies that “gets it”. 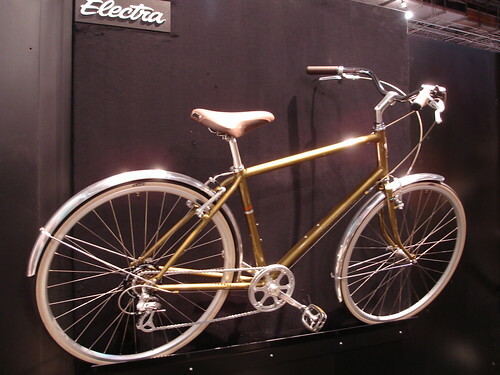 The Electra bikes look cool. Hammered fenders are a nice touch. Very stylish. 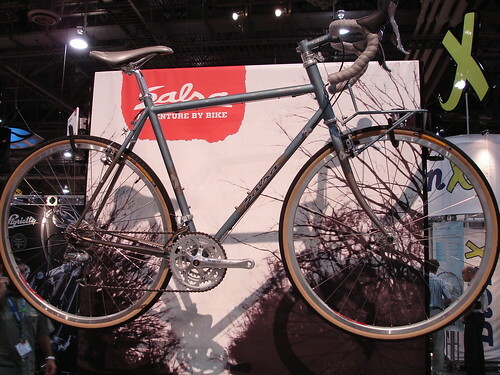 I went back by the Salsa booth on Friday and discovered that the photo above is the new color scheme for the Casseroll…a fan favorite for a versatile frameset. @Ranty — I think it is both of the things you mentioned…folks are “getting it”, finally, and companies ARE listening. Still a long way to go, though, based on a lot of the other stuff I saw at the show. 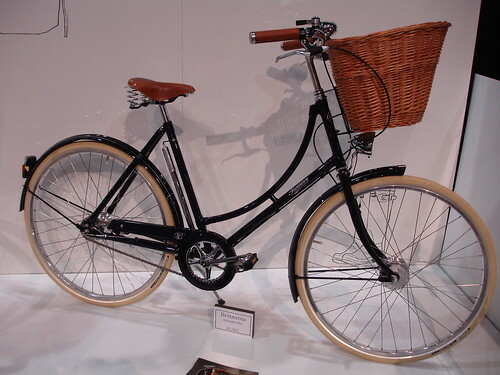 Let’s hope more companies realize that a versatile bike is a hit if they can get it well-equipped AND at a decent price point — they’ll sell like hotcakes if they get it right! 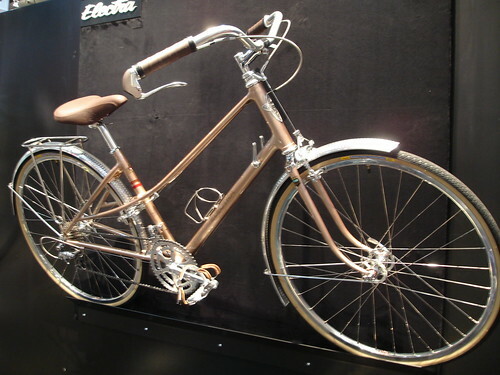 I’m still waiting to meet another rider in my area with fenders and Carradice bags. Heck, even a Brooks. It cracks me up to watch the oral surgeon triathlete commuter riding home like he’s Eddy Merckx when it’s raining. He’s grimacing and eating vaporized roadkill, while I am wearing rain gear on my fendered bike and fairly comfortable.